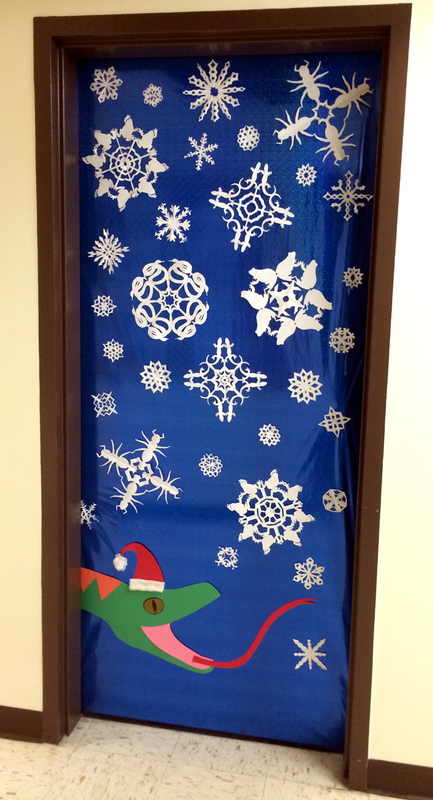 This past week, the Langkilde Lab worked to complete one of our Christmas traditions: decorating our lab door for the Biology Department’s Holiday Door Decorating Contest. As two year running champions, we know what it takes to win the contest: a great idea, skilled execution, and a whole LOT of time. This year, we’re pretty busy and didn’t want to invest ludicrous amounts of time into a project that, while peer-reviewed (via web-based surveys…) won’t contribute much to the lab’s impact factor. 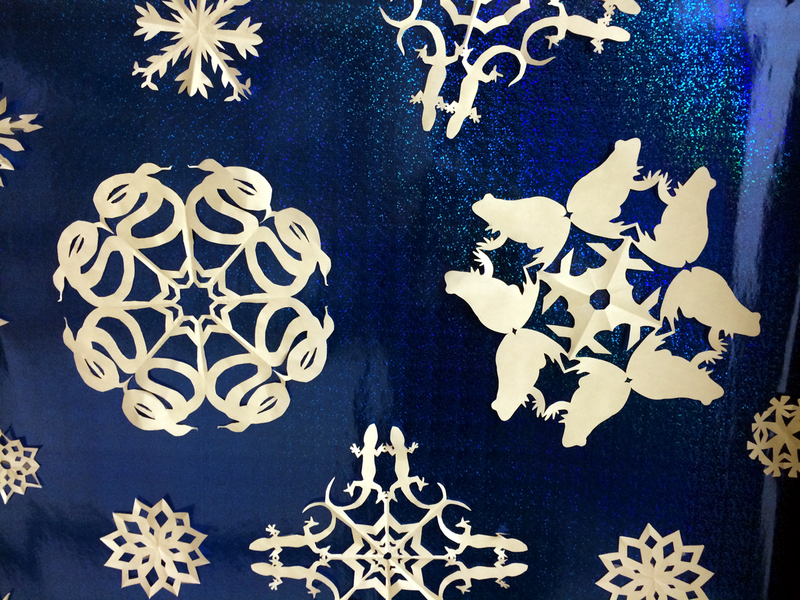 So, after seeing some sweet Star Wars themed snowflakes during a brainstorming session at lab meeting, we decided to make Herpflakes! Gail worked her Powerpoint magic to turn run-of-the mill clip art into geometrical fun. 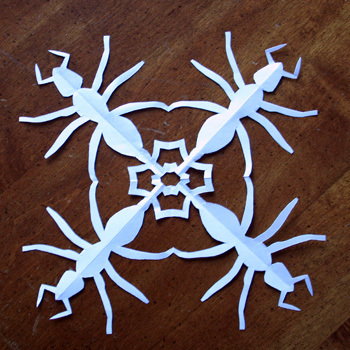 With her high-powered scissors, we made snowflakes representing the different study organisms used in our lab: lizards, frogs, snakes (we don’t really study them, we just like them), and ants. 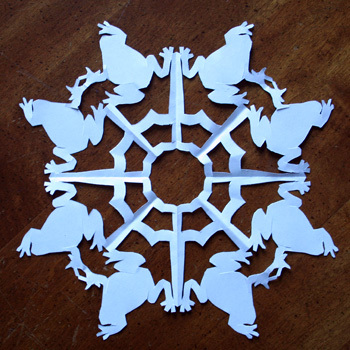 Frogs and lizards (above) and frogs and snakes (below) along with a bevy of smaller improvisational flakes filled the door. 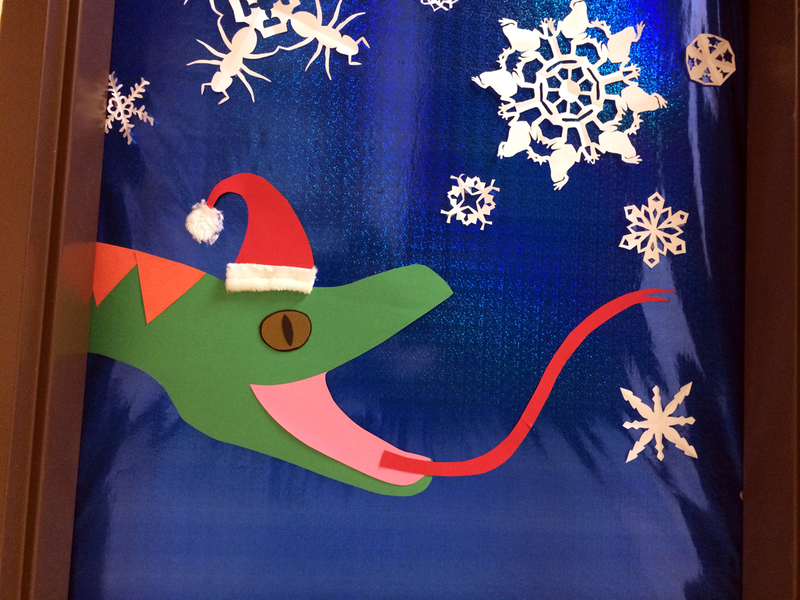 After cutting out our various flakes, we decided to add a snake catching them on his tongue at the bottom of the door. A quick Santa hat using repurposed fur from previous years’ doors completed the look! With the door made, there was only one task left: to pick a title! 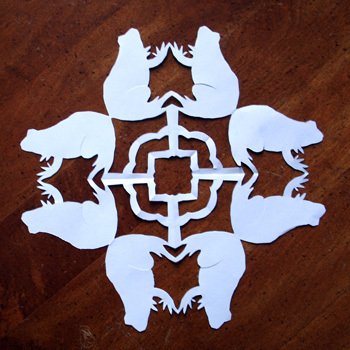 We tossed around numerous ideas over the period of a couple of days, and even considered naming it “These Snowflakes are Animals” when we wondered if viewers would be able to recognize the different animals in a picture. But, we finally settled of “Let it Ssssnow,” an incredibly sophisticated pun. Below I’ve listed the potential titles pulled from the brainstorm board in our conference room so you can see just how hard up we really were. If you have a great alternate title that we didn’t think of (or prefer one of our other options), put it in a comment! Just this Monday, we learned the results of the voting. 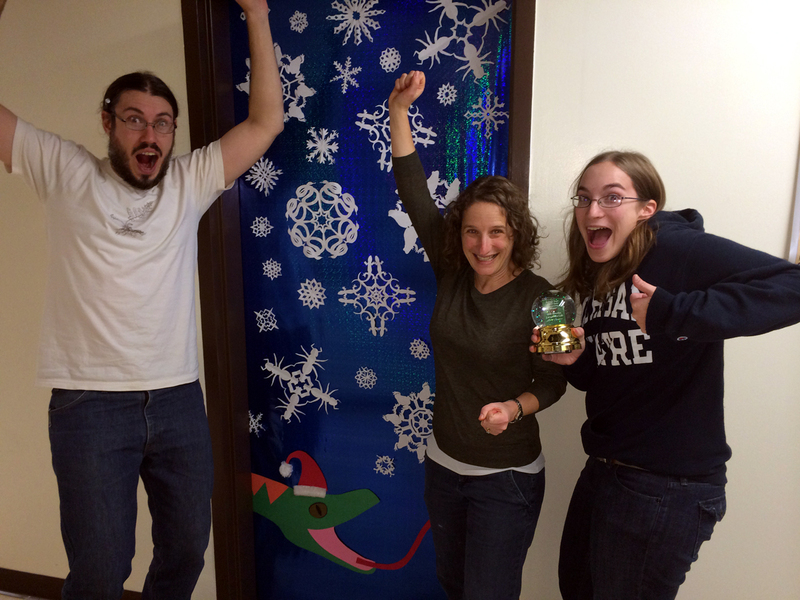 No drumroll necessary, as the Langkilde Lab is now the 3-time consecutive and current champion of the Penn State Biology Department Holiday Door Contest! Woooooooooooo! 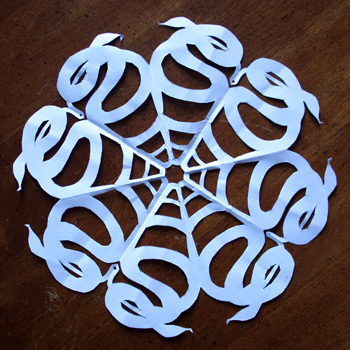 Are you even more creative and interested in designing your own herpflakes (or any other flakes for that matter)? Head on over to Gail’s Blog for the full rundown from the master! 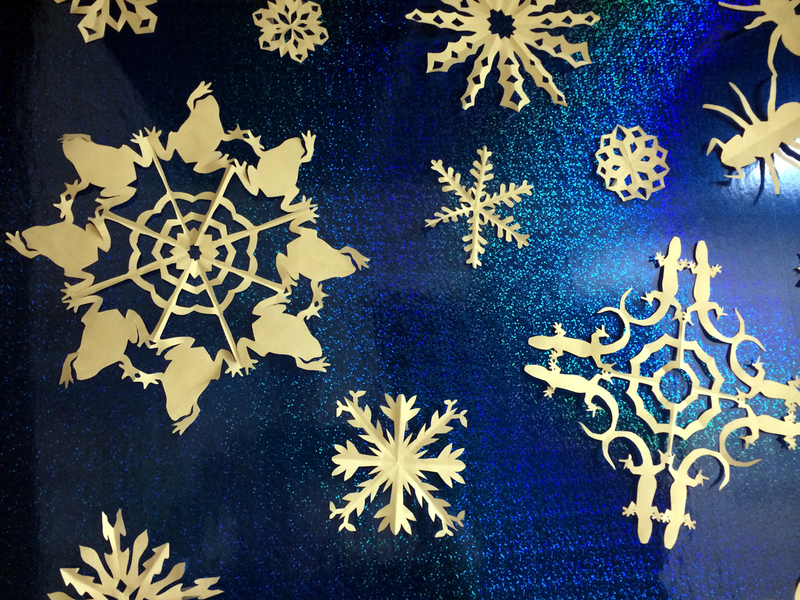 Categories: Just For Fun | Tags: Christmas, craft, herpflake, herps, holiday, paper snowflakes, papercutting, Snowflake | Permalink.